The biggest challenge that the bloggers face is getting their content across to the readers. You may write very good and engaging content, but it will be useless unless you can make them available to the readers. This is where bog marketing takes a pivotal role. After you have published the content that you have written, your actual job begins. If you are unable to do the marketing properly, you will not find adequate web traffic to your site. Lack of engagement is the biggest failing point on any blog published online. 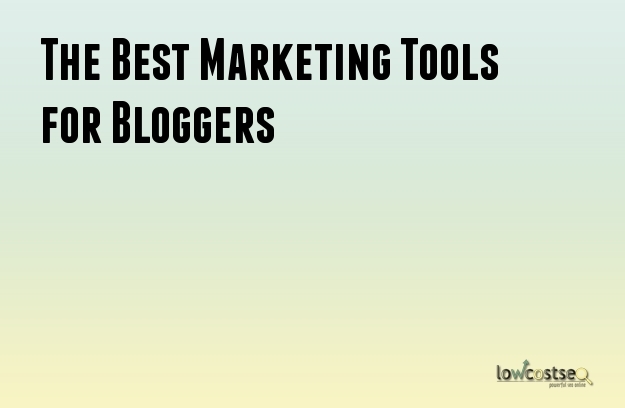 There are some very useful and popular blog marketing tools that you can use in order to give your blog the exposure and visibility that it deserves. Given below are some of them. This is a popular content research tool that will help you find the best performing articles and blogs. You can also find the posts on various topics that are shared on a regular basis in the portal. You can also find the top influencers and trends on it. This tool is very useful though comparatively obscure. This tool will help you dig deeper into the topics and conduct researches on anything that is related to the fields of science and technology. This tool has seen a rapid expansion in the last few years and has taken over the RSS feeds.Feedly became tremendously popular when Google Reader stopped its services. Feedly can be used to bring together content from almost every website all over the world. Even better is the fact that this tool can be accessed from both,a mobile and a computer. In other words, it can be used anywhere and at anytime you want. You can use this to generate title for your blogs. You just need to enter the keyword and see the tool do the magic trick and create a useful title for your post. This is an email marketing tool that can be used to promote your posts through email. This is a paid email marketing tool, but it is worth investing in. With it, you can build a subscriber list easily. There are also responsive email templates with auto responders. This is another popular email marketing tool. With it you can get your content delivered to the list of subscribers directly. This is a social media management tool. It has a number of features and is business oriented. This is the best among the social media marketing toolsas it can give you a complete solution for all your needs. This is a popular Twitter management tool. You can manage multiple twitter accounts with this. With the help of this tool you can also schedule the tweets for the day. The performance monitoring and analysis tool is also very important for successful blog marketing.Qualaroo was previously known as KISSinsights. You can use it for interacting with visitors and get feedback from them. This is anexcellent tool that can be used for tracking conversion rate, filters and monitoring.